Please keep in mind that in order to practice Phowa, you must receive the Phowa transmission. All are welcome! Phowa, or ‘transference of consciousness at the time of death’ is the simplest and most direct method to attain enlightenment. Phowa practice is especially relevant today, when most of us lack the luxury of lengthy solitary meditative practice. Its simple and direct method allows devout students to progress in a relatively short period of time. One of the six Yogas of Naropa, the Drikung Kagyu Lineage is renown for powerful Phowa practice. 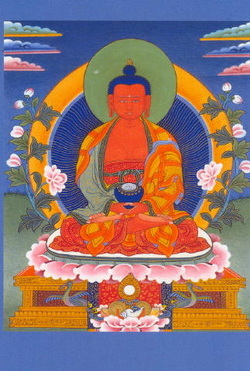 Phowa is a method that enables practitioners to reach Dewachen, Buddha Amitabha’s pure land. Through a combination of breath, mantra and visualization techniques applied at the time of death, the consciousness is ejected from the crest aperture at the top of the head, circumventing the Bardos and avoiding rebirth in the six realms of cyclic existence. From this gate one’s consciousness can be transferred directly to Dewachen, the domain of Amitabha Buddha. 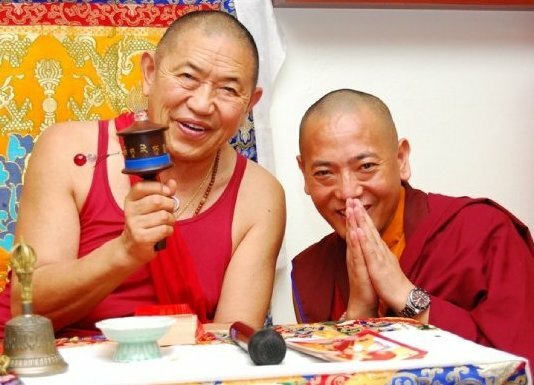 Dorzin Rinpoche will confer the Amitabha empowerment Friday evening and dedicate Saturday and Sunday to Phowa transmission, teachings and practice. Please keep in mind that in order to practice Phowa, you must receive the Phowa transmission.